Check price of the Hasselblad X1D. As far as lenses go, you can check those prices here: 30mm, 45mm, and 90mm. Welcome to the X1D Review! My reviews are a bit strange. I’m not really a hardware geek that spazzes out with the specifications. Other sites do that great. I have a much more holistic and artistic approach to these reviews. I provide oodles and oodles of sample photos. Also, my reviews are kind of tainted in a way because I do so much post-processing! But hey, I do it unapologetically. Because I do this with all my reviews, at least you can sort of compare post-processed photos from one camera versus another. For example, you may want to check out the camera I used before this one, the Sony A7r Review. It’s the first medium-format camera that is also mirrorless! This makes it very small and light while still producing absolutely stunning photos with incredible optics at 50 megapixels. This paragraph is just for people that don’t know what “medium-format” or “mirrorless” mean. Hey, I was there. I didn’t even go to photography school where they teach this kind of thing (I assume). Anyway, “medium-format,” very simply means it has a bigger sensor than full-frame cameras. Sensors come in different sizes. Like the one on your phone is only a small rectangle. Then it gets bigger, generally, as the cameras get bigger. Bigger sensors see more light. But the optics also improve a lot as it is better able to render the direction of the light. As for the “mirrorless” bit, that simply means the camera is a lot smaller because it doesn’t have one of those mirrors inside at 45 degrees that flips around. The light lands directly on the sensor, and the image you see through the viewfinder is digital. Here’s the basics. It’s 50 megapixels (8272×6200). This makes giant files at just over 100MB each. It has 2 card slots, sweet. It does HD video, but I don’t really use it for that. There’s an awesome 3-inch display on the back that is touch screen. The shutter can go from 60 minutes down to 1/2000 of a second. Okay, those are the key things to me, and I’ll touch on them more below. First, some sample images! Let’s get into it! Remember that you can click on any photo to go to SmugMug where you can see the full rez if you really want to zoom in, like you should on this first one below! Zoom in on this all the way (by clicking through to SmugMug and then saving/downloading it) and check out the details on this bad boy. The jeans look amazing I think! This is one of my photos that has no color correction – right out of the camera. This is beautiful Cinque Terre in Italy. I took this while it was raining outside, and the X1D held up fine to these weather conditions. Bright and vibrant Shinjuku, Tokyo, Japan. Check it out – a sardine shop in Lisbon! This is another one worth zooming in on. Again, no color correction here… it was just a very colorful place! A scene from beautiful downtown Osaka. I love the way the Hassy makes those lights look all twinkly. Two women walk in a bamboo forest in Kyoto, Japan. Here’s a shot of my videographer, Olya, in Paris. This was shot with the 90mm lens. Here’s a vertirama of two stacked photos from Monte Carlo. Here’s another shot with the 90mm lens of a snow monkey near Nagano, Japan. This is Monet’s garden in Giverny, France. Don’t forget that if you view the gallery on SmugMug and click the little “i” beneath each image that you can get all the EXIF. A beautiful castle in Sintra. This one has one of my textures added on top. Porto, Portugal. What a great place for photography. This photo has a bit of artifice involved, I’m afraid. I took two photos… a longer exposure and then a faster one so that the boat was not moving. I combined them in Photoshop. A little girl plays on the beach in Okinawa. Long exposure on the streets of Tokyo. Well, as of the time of writing this, there are only three, and they’re all primes. More are coming, which I’m excited about. The three are the 30mm, the 45mm, and the 90mm. I mostly use the 30mm. Remember, this is a medium-format camera, so the full-frame equivalent of that 30mm would be about 23mm or something like that. Personally, I almost never use the 45mm because it’s just too close to the 30mm. I do like the 90mm for portrait shots quite a bit. You’ll see more of those below. What’s it like to shoot with? It’s a total joy! It’s very light and stylish and just plain FUN to hold. I mostly shoot in Aperture mode or Manual, and the controls are very easy to adjust on the fly. The back screen is very user friendly and it has the BEST UI I’ve ever seen on a camera. It blows away Sony, Nikon, Canon, and all those people that seem to take great joy in making ridiculous menu systems. I also love to do long exposures, and the Hasselblad system is smart in that I can set the shutter speed for a few minutes all the way up to an hour! I don’t know why other cameras don’t make this simple feature built-in. I do find it a bit slow. 90% of the time this is not a problem because I’m taking my time on a landscape shot. But when I take street photos of people and stuff that is moving quickly, I like to get 5+ frames per second. This is probably because I am not that great of a photographer and I just take a ton and see what looks good later in Lightroom. The Sony spoiled me for that. I’m not a huge fan of the shutter SOUND. It sounds like I stepped on a plastic party plate or something. Because of the sound, whenever I am trying to time a shot, I’m often a bit off. There’s no autobracketing. Not the end of the world… but since I like to do HDR, I have to adjust the shutter speed between each shot manually. 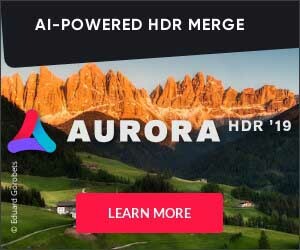 Oh, hint, go get the HDR Software I made with Macphun called Aurora HDR! It’s really easy to lose. For example, I left it on a train in Amsterdam. I don’t know how Hasselblad could be so careless. I’ve just reviewed the Sony a7R III. Will it convince me to switch back to Sony? Check out my Sony a7R III review to find out how I think it compares to the X1D. It’s got a whole load of cool features like 10 FPS shooting and Pixel Shift for super sharp images plus a couple of really impressive new lenses. It’s going to be close! Check it out here! Okay enough chatter, let’s see more sample photos! You can also jump over to see about 40 different shots over in this special gallery on SmugMug. A 64-second exposure in Mont Saint Michel, France. I love how you can make the exposure however long you want with this beast! Downtown Tokyo, shot out of the bar window at the Ritz-Carlton. Sculpted horses in a field in Arrowtown, New Zealand. The restaurant at the London Edition. Great details, eh? Another shot with the 90mm lens. It has a very nice buttery effect. This is two stacked photos of this Harry Potter like bookstore in Porto. This was another long exposure outside of this radical apartment complex in Rotterdam. A simple shot to show off the beautiful range of blues off the coast of Italy. Some wild wolves attacking a samurai at The Hills golf course. I shoot with a tripod quite a bit, especially inside some of these darker places, like the Duomo in Milan. I had trouble getting a non-blurry shot if I dropped below 1/30 of a second. The sensor has no stabilization. Here’s a view from one of our bus side-trips to Rotterdam in The Netherlands. What a great city! Only one night here, so I tried to be as productive as possible… It was a rainy night, but I thought that made everything even better. Around 2 AM in the Golden Gai area of Tokyo. A little F/16 action to make sure everything was in focus. A beautiful tree in Monet’s garden. Here’s one of my rare 90mm landscape/cityscape shots of Lisbon. When I look at this, I think I should try it more! A fun scene in Madrid. I didn’t use the 30mm much for people shots, but it worked out well in this situation. Another shot from Milan, also on a tripod to get a little longer exposure to show the people swimming through the scene.